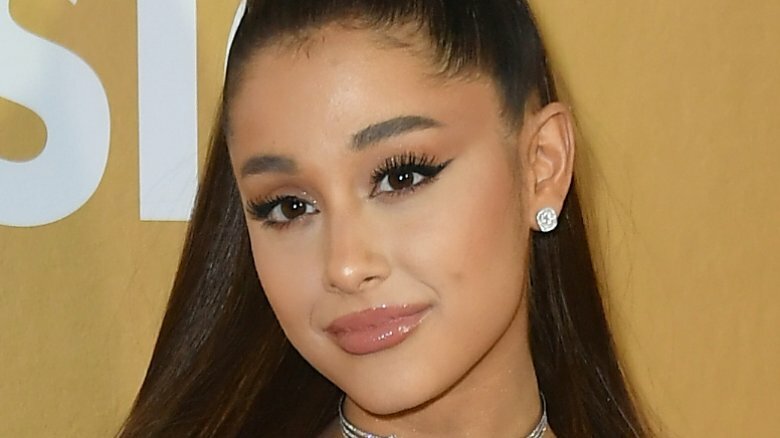 Pop star Ariana Grande officially has a Grammy to go along with those "7 Rings." 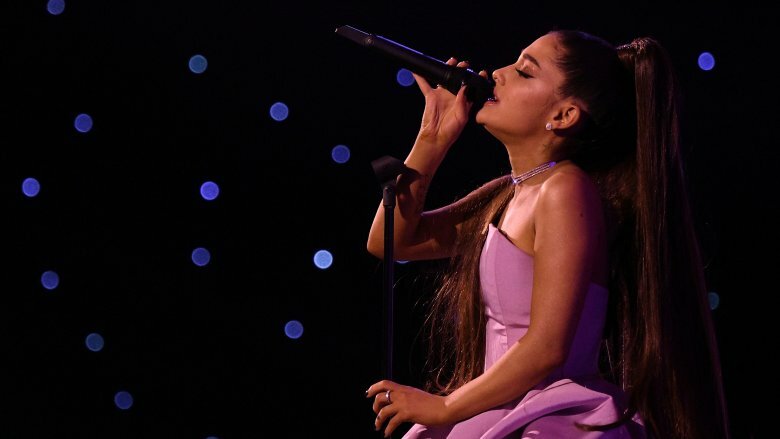 Hours before the 2019 Grammy Awards were set to air live on Sunday, Feb. 10, 2019, the Recording Academy announced via Twitter that Grande had already taken home the gold for Best Pop Vocal Album for 2018's Sweetener. With this win, she notably beat out the likes of Camila Cabello's Camila, Kelly Clarkson's Meaning of Life, Shawn Mendes' self-titled record, Pink's Beautiful Trauma, and Taylor Swift's Reputation. "I know i'm not there tonight (trust, I tried and still truly wished it had worked out tbh) and I know I said I try not to put too much weight into these things …. but f**k," Grande tweeted to her 60.7 million followers after the exciting news broke. "This is wild and beautiful. Thank you so much." The "Thank U, Next" hitmaker went on to thank her team, collaborators, and devoted fans, writing, "I love u @pharrell @scooterbraun @AllisonKaye every human being at @republicrecords @awsuki @ilya_music Max Martin @tbhits @victoriamonet @SocialHouseTC @recordingacademy & the voters." She added, "But mostly thank y'all for being my main source of joy and inspiration always." Grande's hit song "God is a Woman" was also nominated for Best Pop Solo Performance. However, the award ultimately went to "Joanne (Where Do You Think You're Goin'?)" by Lady Gaga. Readers may recall that Grande's first-ever Grammy win follows some headline-making drama with Grammys producer Ken Ehrlich. As Nicki Swift previously reported, Grande, 25, hit back after Ehrlich, 76, told the Associated Press that she'd allegedly dropped out of performing at the event because she "felt it was too late for her to pull something together." In response to the claims, Grande tweeted in part, "I've kept my mouth shut but now you're lying about me. I can pull together a performance over night and you know that, Ken. It was when my creativity & self expression was stifled by you, that i decided not to attend." The singer-actress, who recently released her fifth studio album, Thank U, Next, went on to add, "I offered 3 different songs. It's about collaboration. It's about feeling supported. It's about art and honesty. Not politics. Not doing favors or playing games. It's just a game y'all.. and i'm sorry but that's not what music is to me." For his part, Ehrlich has since called Grande's response "a surprise," telling Rolling Stone, "The thing that probably bothered me more than whatever else she said about me is when she said I'm not collaborative." The 61st Annual Grammy Awards, hosted by none other than singer-songwriter Alicia Keys, airs live from the Staples Center in Los Angeles at 8 p.m. EST/5 p.m. PST on CBS.